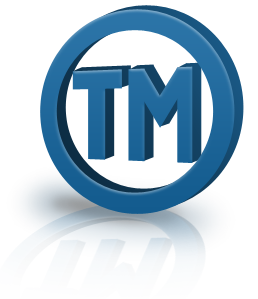 Trademark is the symbol [word or design or combination of both etc.] which you are entitled to use on your goods or your service; with advantage of monopolizing it for as long as you register and maintain it. Trademarks are registered by following, almost, the same steps. The main protection method is the registration at the national office authorized to register the right and grant protection. The first step of is the simple registration at the Trademark Office of the country. A set of required documents is to be carefully prepared beforehandto avoid future delays. United Arab Emirates requires only one document, namely power of attorney, if the application is not filed by the applicant personally. Formal examination is always conducted by Trademark Office to ensure that the application is properly submitted and that the required document/s is properly prepared. Substantive examination will follow to determine that the new application is not conflicting with prior right. Accepted applications are published in Official Gazette (Trademark Journal) to ensure that third parties with possible objections have the chance to come forward and oppose the application. If no opposition is submitted the application will be registered. Goods and Services are divided into classes; applicants are supposed to register their trademark in the class(s) within which their goods or serviceis classified. Most countries adopt Nice Classification which classifies goods and service to 45 classes. The importance of selecting the proper class is that protection is granted to the class actually applied for and covered by applicant. Trademark can be protected in 1, 2 or all the 45 classes. In United Arab Emirateseach class is considered separate application and is examined separately from other class covered by the same trademark/same applicant. All correspondence with Trademark Office in United Arab Emirates is to be in Arabic; Official Forms are to be submitted in Arabic, Oppositions, Responses, Appeals, Hearing sessions etc. are all to be conducted in Arabic. Deadlines are to be treated with all the care they deserve; failure to notice deadlines can cost you the application and eventually the registration or in slightly better alternative “official fine”. Trademark registration is not a thing you do every year; it is action you take once in 10 years. After registration is granted the second step to be taken is renewal of the right before the expiry of protection period and this will be ten years following the filing date. On the other hand, the cost and energy required to overcome lost rights in trademark exceed by far the cost of registration and maintenance. © Copyright Allied IP Attorneys 20015. All rights reserved.